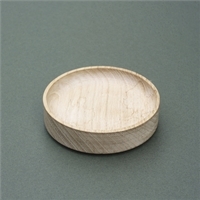 This 8cm bowl is made from English sweet chestnut, grown in Sussex from sustainably managed mixed forests. It is hand turned and is designed to hold a small quantity of cobnut oil, ideal for dipping bread into. Sebastian Cox Furniture has become known for developing products, which have brought coppiced timber into contemporary design. Motivated by environmental sustainability, we seek to re-examine timber use in Britain by turning overlooked and undervalued timber into beautiful and useful objects. We are gradually returning an overstood mixed woodland to a healthy hazel coppice by making a range of products from the harvested timber for the contemporary design market; and this product that you have purchased contributes to that positive change. As we grow, we will be able to do the same in more and more woodlands throughout Britain, with the ambitious aim of returning as much as we can of the 2.8m acres of unmanaged British woodland back to a productive and bio-diverse state. These products are handmade from Kentish hazel and English sweet chestnut trees, which are hand harvested on a coppice cycle. Coppiced hazel is very fast growing and is a strong and light wood as well as being a renewable resource that promotes woodland wildlife. These sprung tongs are made from Kentish hazel trees, which are hand harvested on a coppice cycle. Coppiced hazel is very fast growing and is a strong and light wood as well as being a renewable resource that promotes woodland wildlife. This bowl is made from English sycamore, grown in Sussex from sustainably managed mixed forests. It is hand turned and will comfortably hold a 454g bag of cobnuts. These utensils are made from Kentish hazel trees, which are hand harvested on a coppice cycle. Coppiced hazel is very fast growing and is a strong and light wood as well as being a renewable resource that promotes woodland wildlife. These products are handmade from Kentish hazel and English sycamore trees, which are hand harvested on a coppice cycle. Coppiced hazel is very fast growing and is a strong and light wood as well as being a renewable resource that promotes woodland wildlife. These salad servers are made from Kentish hazel trees, which are hand harvested on a coppice cycle. Coppiced hazel is very fast growing and is a strong and light wood as well as being a renewable resource that promotes woodland wildlife. This bowl is made from English sweet chestnut, grown in Sussex from sustainably managed mixed forests. It is hand turned and will comfortably hold a 454g bag of cobnuts. This bowl is made from Kentish coppiced hazel. 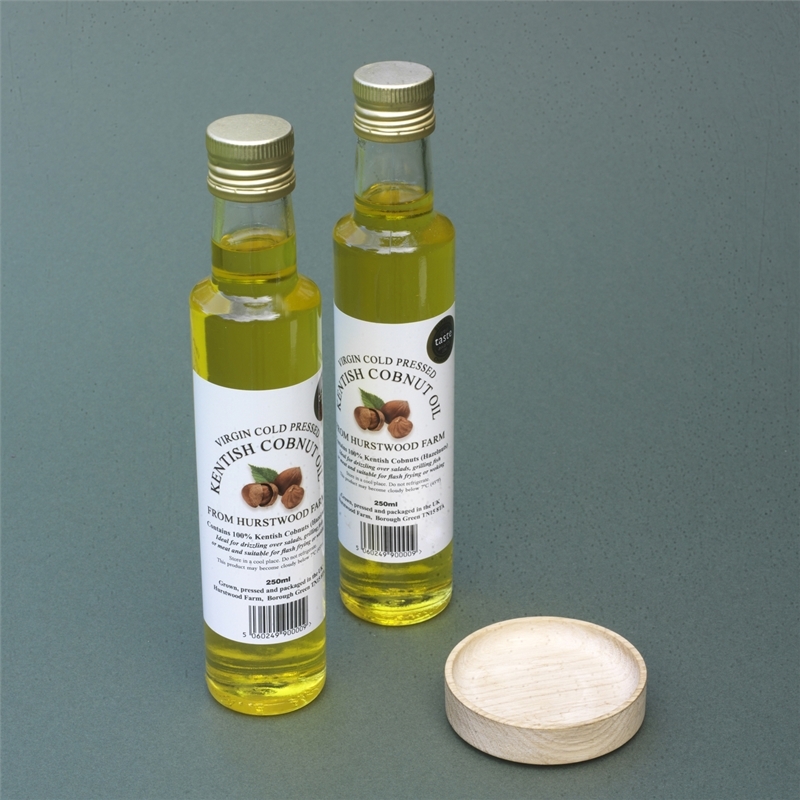 It is hand turned and is designed to hold a small quantity of cobnut oil, ideal for dipping bread into. These nut crackers are made from Kentish hazel trees, which are hand harvested on a coppice cycle. Coppiced hazel is very fast growing and is a strong and light wood as well as being a renewable resource that promotes woodland wildlife.